Are you looking for the best content marketing plugins and tools for WordPress? Content is the backbone of everything marketers do, including social media marketing, emails, and SEO. With the right content management plugins, a killer analytics plugin for WordPress, and a few other nifty plugins for content marketing, you can skyrocket your success rates. In this article, we’ll share the best content marketing tools and plugins for WordPress to help you increase your conversions, track your metrics, and so much more. One of the first steps in creating a successful content strategy is knowing your website’s audience and their behaviors on your site. Only with a clear idea of who your website visitors are, and how they’re interacting with your content, can you create the right content to reach them. Well, that’s what MonsterInsights was created for. It’s the best Google Analytics plugin for WordPress and helps you to connect your website with your Google Analytics account easily to provide you with all the important data and metrics to improve your content marketing. With MonsterInsights, you can track user engagement, demographics, top content, top referral sources, top search terms, top locations for your website traffic, and much more. Using these metrics and data, you can create more actionable and fruitful content strategies. OptinMonster is the best lead generation software on the market to turn your abandoning visitors into customers and subscribers. It lets you create high-converting email optin forms and captures visitors before they click the exit icon. OptinMonster comes with a signature Exit-Intent® technology feature which detects user behavior and prompts them to subscribe to your email campaign right as they’re about to leave. It has perfect integration with all the most popular email marketing providers. So, you can send your fresh content to your subscribers and increase your website’s conversions. Yoast SEO is the most popular WordPress SEO plugin. It’s primarily focused on content optimization. As you would expect, it lets you add meta data and tags, which help your content to get better ranks in search engines. However, Yoast SEO plugin also has powerful features such as SEO analysis and readability analysis to perfect your content. For each post you create, it analyzes your writing and grades you on whether your content is good for SEO and readability. If your content is poor in regard to its SEO and readability parameters, Yoast SEO provides you with suggestions on how to make improvements. Yoast SEO is a very unique SEO plugin that helps you create and promote better content online. SEMRush is a popular tool used by digital marketing professionals for better SEO insights. Using this tool, you can get your website analytics, overall SEO performance, and the status of your other marketing strategies. Most importantly, this tool lets you to peek into your competitors’ SEO strategies, advertising strategies, backlinks, social media, etc. Then, you can borrow the best strategies from your most fearsome competitors or create even better strategies to beat them. Grammar is a very prominent aspect of creating great content that’s easily digestible for your readers. Without grammar-proof writing, you cannot confidently promote your content. Even if you do, there’ll be questions regarding your expertise. Because, if you can’t write well about your niche, your audience may begin to doubt your advice. Grammarly is a great tool to perfect your writing. It works with WordPress’ post editor, as well as many other writing areas, and helps you to correct your grammatical errors as you write. You can install it as a browser addon for Google Chrome, Firefox, and Microsoft Edge. When the addon is installed on your browser, it’ll show an indicator in the bottom right corner of your writing area. If you click on it, you’ll see the number of errors you’ve. It also highlights all the spelling and grammar errors throughout your text so you can quickly identify and fix them. Content refers to a piece of information in any form: text, image, audio, or audio. Usually, people equate “content” with text, but images are equally popular as a form of content marketing these days. If you post an article with just text, your readers will find it difficult to connect with. Given that images are great at making your articles stand out and better than text alone at delivering messages, you’ll need to use them frequently in your content marketing campaigns. However, not everyone is skilled at creating professional-looking images. That’s where the Canva tool comes in. It’s a feature-rich image editing tool that allows you to create images like a pro. There’re plenty of templates, icons, and tools to help you design your images and infographics. 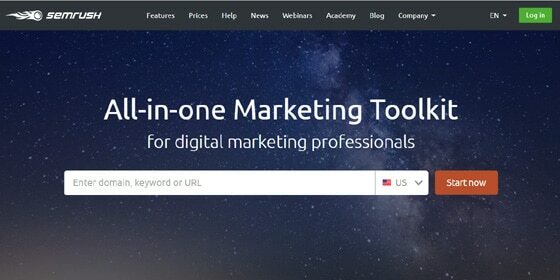 It’s a super cool tool for content marketers. Ahrefs is one of the most popular SEO tools available on the market. It helps you analyze your own website as well as your competitors’ websites to make better marketing strategies. Using this tool, you can see your organic traffic, top content, top keywords, etc. Similarly, you can see your competitor site’s top keywords, backlinks, top content, outgoing links, and every other detail you want insight into. Once you have a good grasp on your site’s and your competitor site’s status, you can plan better content marketing strategies that actually work for your site’s growth. Edit Flow is a free WordPress plugin that allows content marketers create and publish content on a regular basis. It helps you maintain a consistent writing and publication schedule. Using the plugin, you can add an editorial calendar, feedback for your editorial team, enable notifications, etc. Most importantly, you can add custom statuses for your blog posts like draft, pending review, ready to publish, etc. WordPress’ post editor, by default, only has “draft” and “published” statuses. The Edit Flow plugin is especially useful for blogs with multiple authors. Images are great at delivering messages more efficiently. They also help to break the monotony of text content in blog posts to make the content’s design look great. However, the downside is it images take up much greater space on your database. That’s why images can slow down your website. Fortunately, that’ll no longer be a problem after you install and activate reSmush.it. This plugin helps you compress your images and optimize them for better speed. It’s a wonderful image compression tool that reduces the file size without affecting the image quality. The reSmush.it plugin also comes with a bulk optimization feature with which you can quickly optimize your older images, even after they’ve already been published. BuzzSumo is a great marketing tool for building actionable content marketing strategies. The tool comes with a powerful content analyzer tool which shows the best content for the any keyword or domain. You can enter any keyword you’re curious about for any of your competitors’ domains in its search field and click the button. Then, it’ll show you the most shared content for the searched keyword or domain. Analyzing the results, you can understand what type of content gets most popular and improve your content strategies. In addition, you’ll get to know the key influencers in your niche, so you can work on collaboration plans with them. After creating content, the most important job for content marketers is to share their content with a wider audience. Shared Counts helps you do that on social media platforms. Shared Counts is a free WordPress plugin that allows you to add social sharing options to your website content and also shows the number of shares for each platform as well the total counts. While most social media plugins slow down your website, this plugin is exceptional when it comes to maintaining speed. It’s highly optimized for performance, speed, and SEO. Best of all, it’s GDPR compliant. IFTTT is a popular marketing tool that helps you automate your social media profiles. Using this platform, you can connect your WordPress site, as well as many other popular services, to your social media accounts and send out automatic posts. You can automatically share images on different platforms, share your WordPress blog posts on social media, trigger retweets, and much more with this handy tool. It ensures you keep your content posted on social media platforms on a regular basis. Consistency is key when it comes to content marketing! Asana is a popular project and team management tool useful for content marketers. It helps you manage the tasks for your team, large or small, as well as keep your own projects well-managed. You can say goodbye to long email threads between your teammates. Asana provides a powerful dashboard where you can create multiple projects and tasks, assign the tasks to your team members, and keep track of everything directly from the website. It has cool options that keep your entire team’s tasks organized, leaving you all free to do the actual work. When you’re very busy with new content marketing plans, your old posts are often neglected. Sometimes, your old posts can create great engagement among your users, but not until you share them. That’s what the Revive Old Posts plugin was created for. It automatically shares your old posts on your social media profiles and keeps your audience engaged. By posting to social media on a regular basis, you can create a more updated community and keep your blog alive. By adding links in blog articles, you can provide your website’s readers with additional resources they can visit for detailed information on any related topic. However, linking is also a very sensible act from an SEO standpoint. 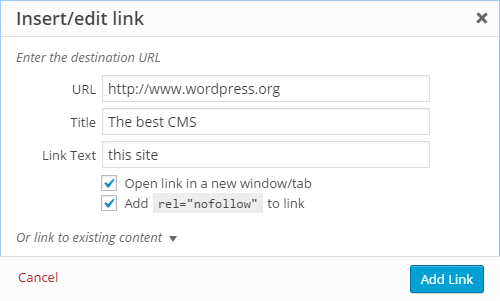 SEO experts normally recommend using a nofollow tag for external links, but WordPress doesn’t have this feature by default. But the Title and Nofollow for Links plugin solves this problem by adding title and nofollow options to the insert link popup in WordPress. The plugin saves you from manually writing the nofollow tag everywhere on your site and makes you more efficient at your content creation and promotion job. Inline Related Posts is an amazing tool for improving user engagement on your website. The plugin lets you show your related posts inside your articles and redirects the users who lost interest in one article to another one. With this strategy, you can keep your site users interested in your other content so they can keep browsing, lowering your bounce rate. It beats the traditional method of showing related posts in the footer along with several other widgets. This technique is used by popular blogs like BBC, Entrepreneur, and Financial Times. Get started with Inline Related Posts today! We hope this article helped you find the best content marketing plugins and tools for WordPress sites. You may also want to see our detailed article on how Google Analytics reports can help you improve your content marketing. Hey, are you up for a tool review! Yes, we can review it if it’s genuinely useful to our users.